1) Identify the different positions or perspectives involved. 2) Hear them all equally and balance each voice with its opposite. 3) Having heard “both sides” draw a simple conclusion as quickly as possible and put a neat bow on the top. This seems to be the approach I’ve seen in many attempts to “objectively” cover recent events in Ukraine. The protesters say “X” about the government? Well, what does the government say about that? 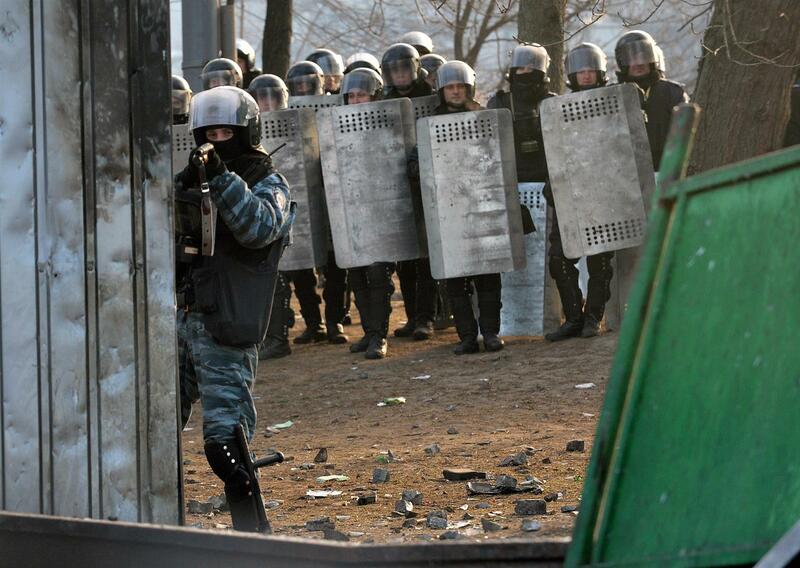 And how do the people on Maidan respond to what the government says? Got both sides? Great. Roll it all together and you’ve got a nice “objective” story, one that reflects a “balanced” view. Protesters make demands; government responds with certain actions and says they’ve addressed them. So what do these people really want, anyways? However, what is the proper way to “objectively” report a 50-ish academic from Lviv being abducted while seeking medical attention and found the next day frozen to death in a forest, his body bearing marks of torture? A protest leader emerges eight days after going missing. He tells a horrific tale of non-stop abuse, being “crucified” by being nailed to a door, beaten all over his body. He says it’s because of his protest activities. The police are mad that he called his friends first, instead of the cops. And the top cop says, “It’s just a scratch.” Both sides presented. Nice and neat. However, often the “objectivity” that we seek to protect is something we ourselves bring to our perception, our story-telling. Not all sides of every dispute are equal, or equally worthy of consideration. How to tell the difference? That’s where one needs the ability to get outside one’s initial bias and inside the reality of what is going on. And being willing to learn. That’s what journalism is at its best… and may be why journalists feel under such attack these days in Ukraine. Here’s a concrete example: The Ukraine government announces that, in response to the demands of the people protesting they have “made concessions” – which do not appear to satisfy Maidan. These radicals only want “more concessions”! How unreasonable. 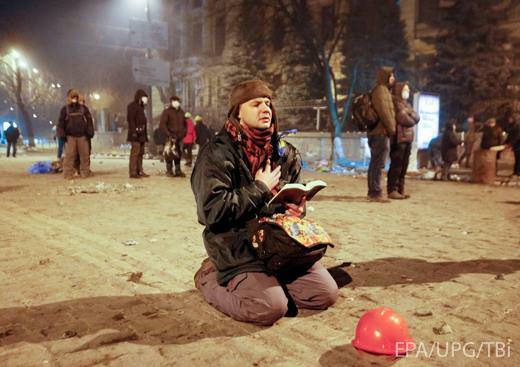 However, let’s consider how these “concessions” appear to the brothers and sisters with whom we have grown up in Kyiv. “Concession” #2: The government rescinds laws criminalizing protests. 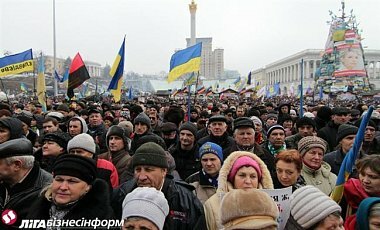 Most Ukrainians are amazed that anyone would see this as a concession… The laws passed by the Rada (under highly questionable legislative circumstances) turned literally hundreds of thousands of people instantly from “peaceful protesters” exercising their rights into criminals facing 15 years in the pen for what they’d been doing for months. Repealing such laws is not felt to be a concession, any more than it is a concession for a man who has broken into your house to tell you he will stop stealing. Thus, many see this “concession” as, once again, buying time. It doesn’t take a conspiracy theorist to note that the “15 days” expire just as the Olympic Games in Sochi are drawing to a close. Of course there is still hope – and we are all praying that these machinations will not draw the country to where many fear they will… but my point is that striving for “objectivity” and “even-handedness” may be short-sighted if it is not informed by perspectives on the ground… particularly from those with whom one has had long and spiritually significant relationships in life-situations to which one doesn’t have direct access. This requires spiritual discernment, since there may be objective reasons why people are weeping. But, at least in some cases, that’s not given to us to know… and trying to encapsulate everything in a neat spiritualized package consistent with expectations of “objectivity” may not be a fulfillment of our true calling.